Perfect For Use in Steam Rooms in Operation for More than Six (6) Hours Daily. High Limit Room Temperature Cut-Out Included. CU Generators: Quality. Reliable. Practical. Mr. 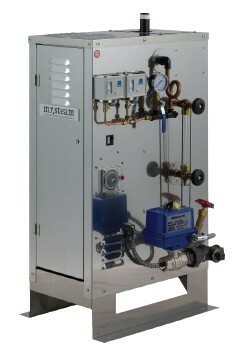 Steam CU Series Commercial Generators meet rigid requirements and nationally recognized testing standards, including UL. ASME steam pressure vessels are built to the ASME Boiler and Pressure Vessel Code requirements and are National Board Registered. 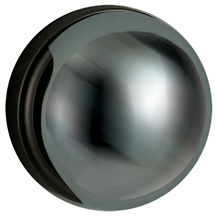 High quality fibrous glass pressure vessel insulation delivers maximum energy performance. Stainless steel heating elements are corrosion-resistant. ASME-grade flanges support longevity and reliable performance. Vertical construction means a smaller footprint, which means the generator can be located within the tightest of mechanical rooms. The integrated base means there is no need to construct a stand - saving you on extra costs. An Integral pressure gauge and sight glass provides operating information at a glance. 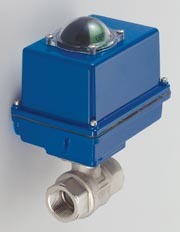 Standard full port drain valve enables maximum draining of the pressure vessel. Comes equipped with a hinged access door for ease of installation and service. Optional Automatic Blowdown System features electronically controlled maintenance and 24-hour/7-day programming. Backed by Mr. Steam's limited warranty for commercial steam bath generators. Designed and packaged to provide spa operators with the ability to select the steam room operating temperature. 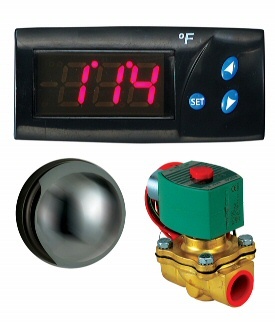 Simply determine the CU model for the steam room being serviced and select the required Digital 1 Control system. Everything the spa operator needs to save time, ease maintenance, and enhance the spa experience. Mr. Steam's Automatic Blowdown System saves time, energy and payroll dollars because it starts, stops, drains and refills each CU commercial steam generator automatically — on a pre-scheduled daily basis. The Mr.Steam AromaFlo® Aroma Oil Delivery System infuses aroma into the steam room for automatic integration of aromatherapy to enhance the steam bathing experience. Engineered to deliver optimum, metered amounts of aromatic oil. Adjustable metering and time-sequencing control permits precise delivery of essential oil and minimizes oil usage. 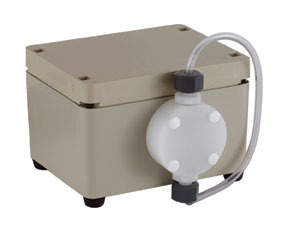 Built-in electronic controller has quiet metering pump, hoses, fittings and atomizer. Mr. Steam® Eucalyptus and Lavender oils are organic, non-hazardous, water-based oils, available in 2.6-gallon (10- liter) bottles that are specially blended for use with the AromaFlo system. Note: these oils are not for use with acrylic or fiberglass rooms. ASME Code Blowdown Tank is essential equipment for automatic blowdown maintenance where building codes require maximum 140° F discharge. Blowdown separators are built to ASME section VIII. The separators reduce the temperature and pressure to insure a safe discharge of water and sludge. Designed to utilize a water seal at the outlet, reducing outlet temperature to a safe discharge level. Complete with temperature gauge, pressure gauge, and gauge glass assembly. Mr. Steam commercial accessories make the spa experience that much more enjoyable for your guests. Mr. 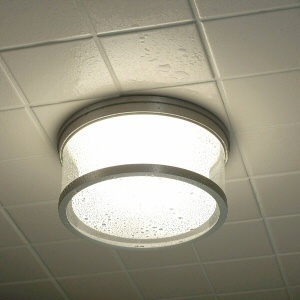 Steam offers a robust, surface-mounted architectural light for commercial steam baths. Bring the sound of music to your commercial steam shower with Mr. 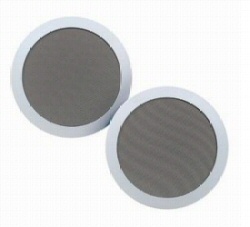 Steam CU speakers. The 30-minute Digital Timer and Mechanical Timers are installed outside the steam room and must be used with steam vent. Many states (including GA, IA, MA, NC, TX, WA) and local jurisdictions require an independent, manual reset, second low-water cutoff control as standard equipment.